Shadai Corporation is consisted of main office Shadai Stallion Station, Shiraoi farm which is bloodmare section, Hayakita farm which is yearling section, and Shadai horse clinic. Shadai Stallion Station estate comprises 30 hectares and has been around 30 stallions standing at our stud. Shadai Stallion Station has had a long list of champions, including successive Northern Taste and Sunday Silence, on its past and present rosters since 1982. Shiraoi farm adjoning the Pacific Ocean has about 130 mares. Best progenies: Triple crown champion racehorse Orfevre, Japan Cup winner Zenno Rob Roy. 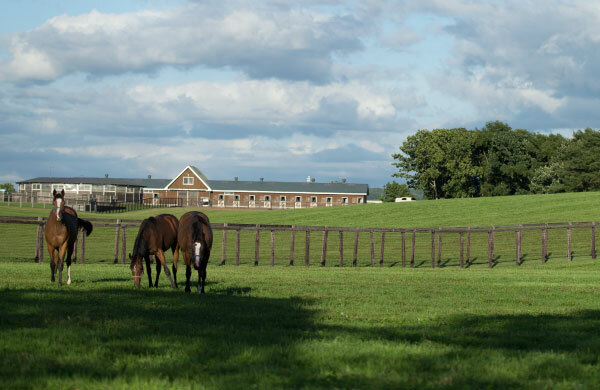 Hayakita farm takes care of yearlings after weanling on attention. Best progenies: Orfevre, IFHA top rated Dubai Duty Free winner Just a Way, and Japanese 2,000 guineas winner Isra Bonita. Shadai horse clinic is a preeminet equine hospital in Japan. Now 5 high quality veterinarians provide dedicated services for horses requiring specialized medical and surgical care. 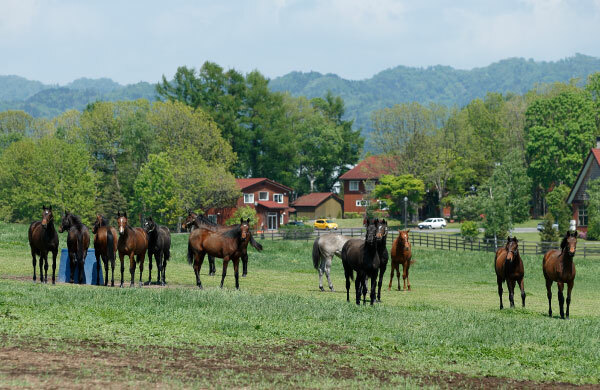 In 1955, original Shadai farm was established and steadily enhanced. In 1994, it was spun off into Shadai farm, Northern farm, and Oiwake farm. In 1980, Shadai Thoroughbred Club was found as racing club. Then Sunday Thoroughbred Club, Shadai Group Owners, and G1 Thoroughbred Club were found as well. Share holders can own shared horses through the racing club easily. In 1955, original Shadai farm was established at Chiba, near Tokyo. And then in 1994, current Shadai farm was found in Chitose, Hokkaido. Shadai farm has own training center near the farm and in Miyagi, main land Japan. Best progenies: Dubai World Cup winner Victoire Pisa, Japanese Derby winner Neo Universe, Champion Miler Daiwa Major. In 1994, Northern farm was established at Abira, Hokkaido. Northern farm also owns 2 main training centers in both east and west of Japan. Best progenies: Best regendary champion horse Deep Impact, Triple tiara winner Gentildonna, Japanese Derby winner King Kamehameha. In 1995, Oiwake farm was established at Oiwake area, Hokkaido. Then own brilliant training center, Oiwake farm Lily Valley, was built in 2011. Best progenies: Champion dirt sire Gold Allure, Mile Championship winner Persian Knight. Owned horses: Only beating Deep Impact Japanese trained Grand Prix winner Heart's Cry, Dirt champion horse Gold Allure, Japanese 2,000 guineas and Derby winner Neo Universe, and Frankel's super champion filly Soul Stirring. Owned horses: Japan Cup and Dubai Sheema Classic winner Gentildonna, Triple Crown Champion Orfevre, Japanese 2,000 guineas and Derby winner Duramente, Japanese Derby winner Deep Brillante, Hong Kong Queen Elizabeth Ⅱ Cup winner Rulership. G1 Thoroughbred Club was newly established in 2009. Owned horses: Mile Championship winner Persian Knight, American Jockey Club Cup winner Tanta Alegria, 2 Grade 3 races winner Albert Dock. For only JRA or NAR owner join this club. Owned horses: Japanese 2,000 guineas record winner Logotype, Japan Cup winner Screen Hero, Champion dirt horse Gold Dream. Northern Horse Park has a wide range of activities and events throughout the year. Having fun with horses and enjoying nature has never been easier. Our restaurants offer a variety of delicious dishes made from fresh, local ingredients. The unique wedding venue is an ideal choice for couples to celebrate their vows. The complete, personalized service offered will ensure that the memories of this milestone will be treasured forever. 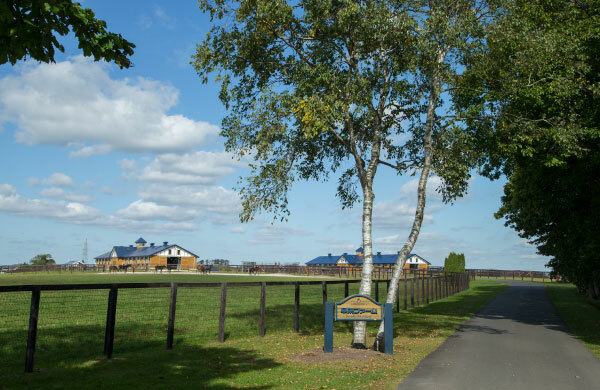 The Park is affiliated with Northern Farm, a racehorse breeding and training farm. 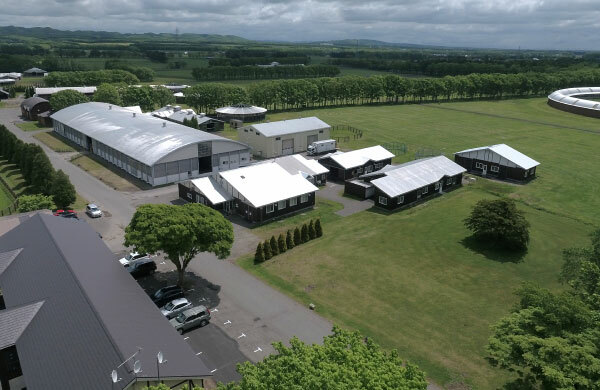 We have a complete range of facilities for competitive equestrian events, and we are dedicated to the development of Equestrian culture in Japan. Also the Park is very popular place you can meet the retired thoroughbreds.